Working in the golf industry for over 20 years, Todd Chant worked closely with golf professionals and general managers from a variety of courses. During this time , Todd could see the frustration golf courses had experienced while running tournaments. This was the beginning of Easy Golf Tour. In 2016, Easy Golf Tour began meeting with golf courses across Atlantic Canada. During these meetings, we learned from courses what they truly wanted and needed to run a tournament not only successfully, but efficiently and cost effectively. Over the next year, Easy Golf Tour began to develop our software based on the interviews from these courses. 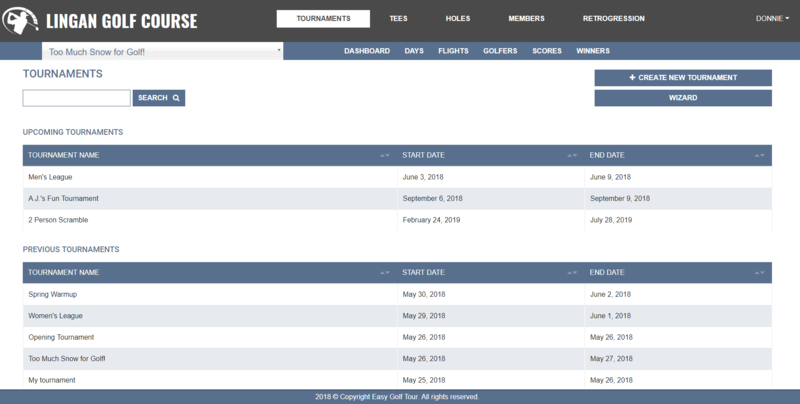 In July of 2017, Easy Golf Tour launched our prototype system at Lingan Golf Club in Sydney, Nova Scotia to manage the largest invitational golf tournament in Eastern Canada, the Road Builders. With our software, course operators were able to run and manage the tournament 80% more efficiently than their pervious methods. 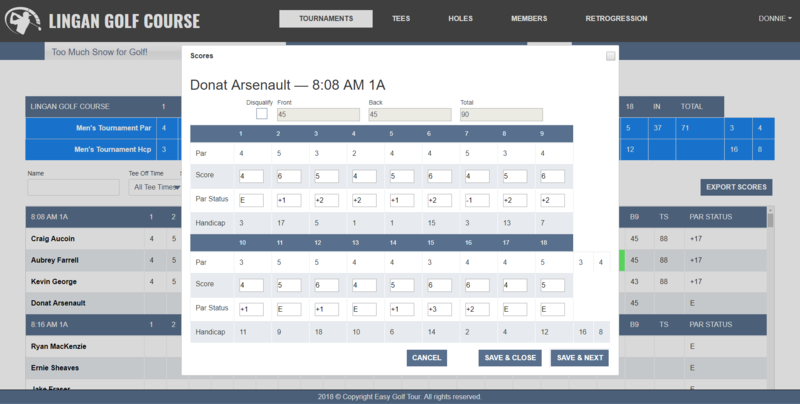 Over the rest of the season, Easy Golf Tour's system was used to manage dozens of tournaments. 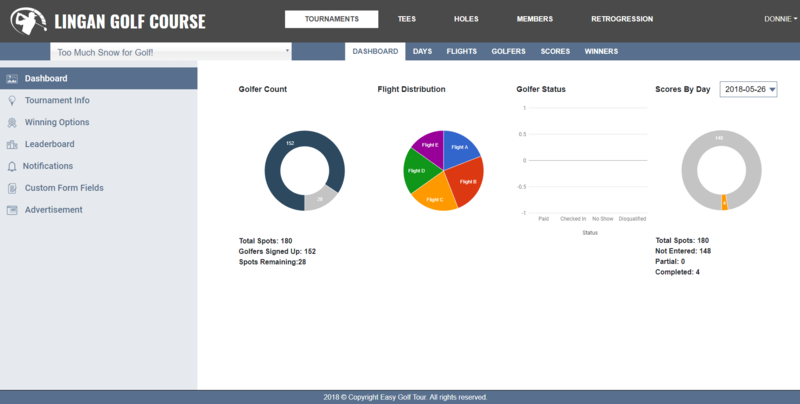 With each tournament, we were able to enhance our software to make it even better. 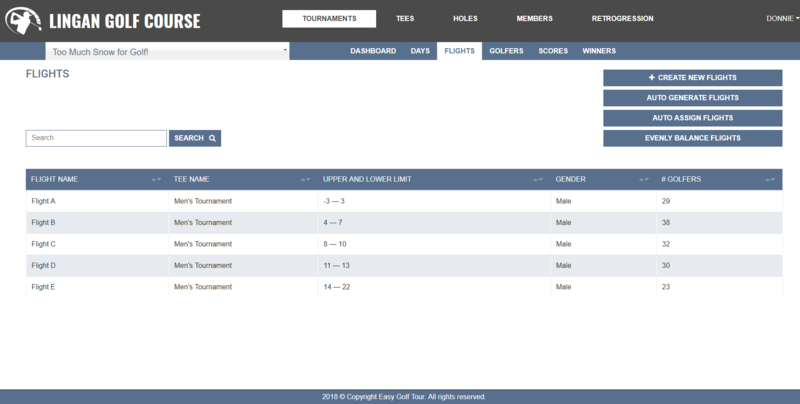 With the help of feedback from golfers and the staff at Lingan Golf Club, we created a platform that is designed and tested to work for any course. Presently, we have partnered with Golf Nova Scotia, Golf New Brunswick and Golf Saskatchewan and are providing our software to 208 golf courses across Canada and the U S. With these partnerships, all golf courses in these associations are receiving our software free-of-charge. We are also in talks with three additional provinces in Canada that will see our software on 800 golf courses in the coming months. 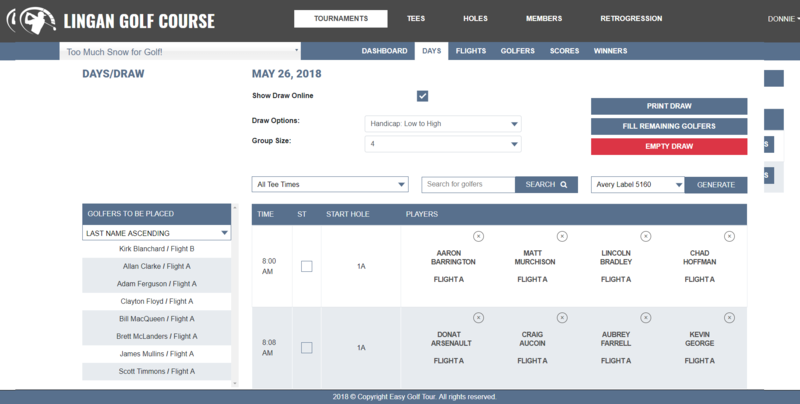 With our unique system, golf courses can create, manage, and accept registration on their own website in just a few minutes. Easy Golf tour is a complete white labelled solution that integrates directly in to your course's website, there are no 3rd party websites. Our software is available for free for any course that is part of Golf NS, Golf NB, and Golf SK. If you are not part of these associations, our software is available for a yearly fee of $899. 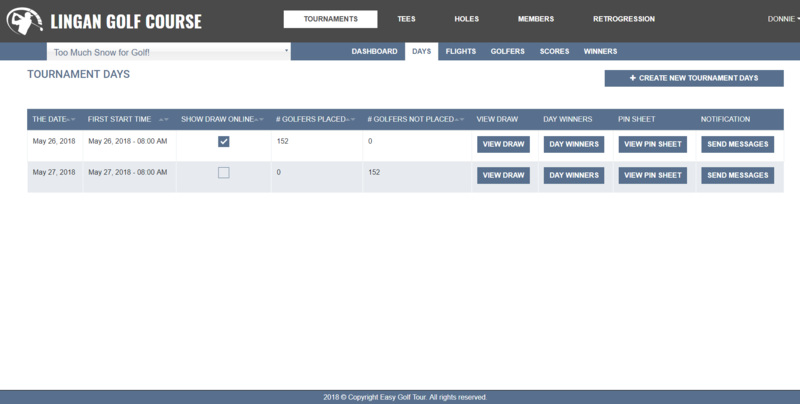 Our goal is to create a tournament solution designed to benefit our customers in any way we can. We work closely with our customers and partners to continually improve our product. We will continue to add features to our software based on real feedback from our users. Together, Easy Golf Tour will work with courses to customize our software to give it the flexibility that your course needs.